Private blog networks, or PBNs, had previously been discussed on I’ve Tried That as a questionable link building strategy for increasing page rank on search engine results pages (SERPs). It now appears that Google has finally caught up to PBNs and targeted them for de-indexation. 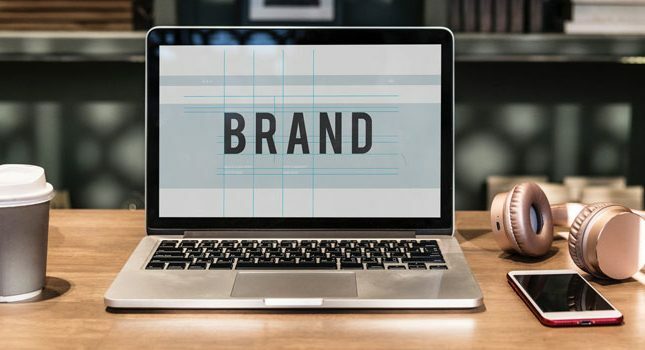 In brief, PBNs are sets of niche keyword-focused blogs and websites that exist to raise the Page rank of client websites on the SERPs by backlinking to them. This backlinking service is usually paid for by the clients; however, clients may also pay to get trained and then create their own PBNs. Google has been using the “thin content” explanation to penalize most PBNs. However, it appears that the real reason has more to do with Google’s newest algorithm update rooting out specific linking patterns and Whois information rather than analyzing quality versus thin web content. For example, NoHatDigital, a PBN site that features quality content, recently lost 40% of its network sites to de-indexation by Google. It has also been reported that another quality content site, aPennyShaved, lost a massive amount of traffic for its top keyword “best electric shaver.” Interestingly, noHatDigital noted that one of its PBNs, Links4Life, was left intact -this network is used by different students and thus contains geographically diverse IP addresses and hosts. Given these reports, it is very likely that many PBNs are experiencing a link penalty from Google, and not the noted thin content penalty. 1. Check your website’s performance. 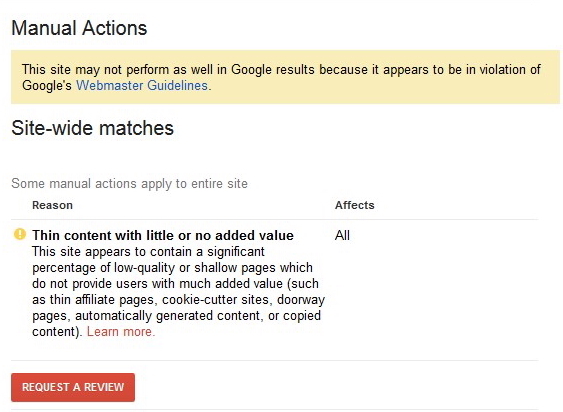 If you haven’t done so already, you should first go to your Webmaster Tools area on Google and check your website for its latest traffic report. 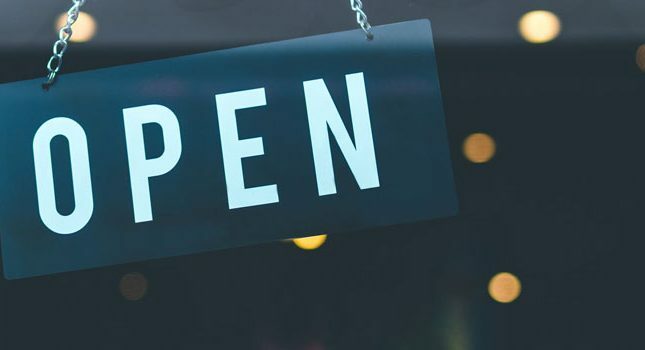 If your report shows a huge hit in visitor numbers in the last two weeks, you may have experienced a PBN-related penalty. 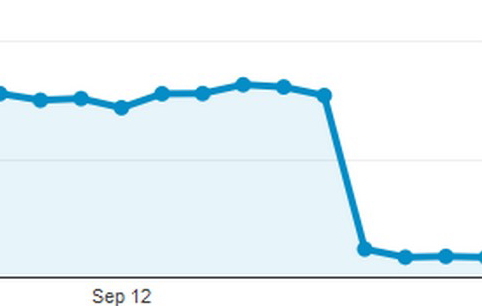 A recent traffic drop might indicate PBN-related de-indexation. 2. Perform a link audit. Link clean-up has been previously noted on I’ve Tried That as a good standard practice for any website to regularly undergo. In the case of receiving a manual penalty from Google, it is imperative that one of the first potential issues you examine is your inbound links. Especially if those inbound links have potentially originated from PBNs. Check all these inbound links carefully and make sure they do not originate from PBNs. If you find a questionable link, write the website owner and request that he remove that link to your site. In cases where you receive no response back, you can send Google a text file containing all the links you want to disavow. It’s also important that you check your outbound links to make sure they are still going where you intended; for example, outbound links get hijacked and linked to gambling or payday loan sites. You may also have inadvertently linked your website to a PBN. If you’re not sure if a link is harmful to your site’s Page rank, you may add a rel=”nofollow” snippet after that link. 3. Make your site more authoritative. Create social media profiles for your website on places like Facebook, LinkedIn and Twitter. Link to these sites and try to post regular updates. The more you invest in your public image via social media, the less likely it’ll be for Google to judge your site as a PBN or other link scheme. Once you’ve made all your updates and removed any suspicious links from your website, submit your site to Google for reconsideration. Don’t link to PBNs! While there are some sites stating that PBNs aren’t dead, or that the “better” PBNs are not being hit by Google, the risk of being found out is too great to take a chance. Instead of paying a risky PBN for its content, outsource your writing needs to a qualified freelancer or write that content yourself. Generate guest blog posts in order to obtain quality links. Post podcasts, videos and other rich media that attracts viewers to your site and results in conversions. But don’t associate your site with PBNs!